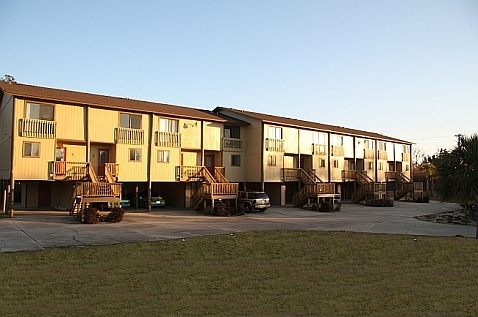 These multi-story condo are located just minutes away from downtown Pensacola. They offer a luxurious, quality, living experience at a fraction of the cost. Walking distance to Sanders Beach Community Center and the Yacht Club. Yachtsmen Cove...Condo close to downtown Pensacola & Maritime Park. Walking distance to Sanders Beach Community Center, the bay and the Yacht Club. 2 large bedrooms, 1 1/2 bathrooms, two balconies one off the living room and the other off of the master bedroom, Granite countertops, custom cabinets, travertine tile, and stainless appliances. 8x8 Ground floor storage room. Call today to schedule your showing (850) 435-8904. Pictures are not of exact unit, but similar. Pets allowed under 30lbs with breed restrictions.